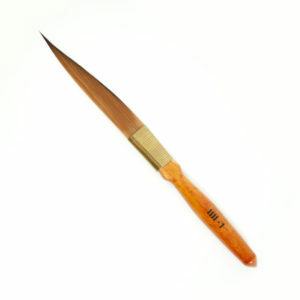 The Trickster is a striper with a handle length of 4-1/4″. 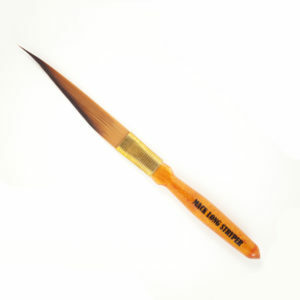 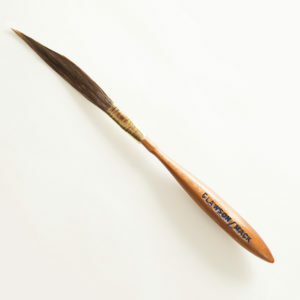 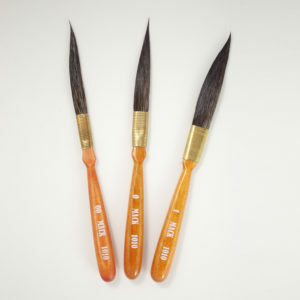 Jim Norris helped design this brush and with his sign painting background likes the longer length of a brush handle. 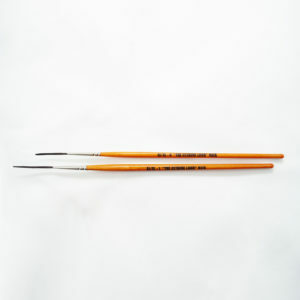 For the stripers that prefer a shorter handle the modification is quick and easy. 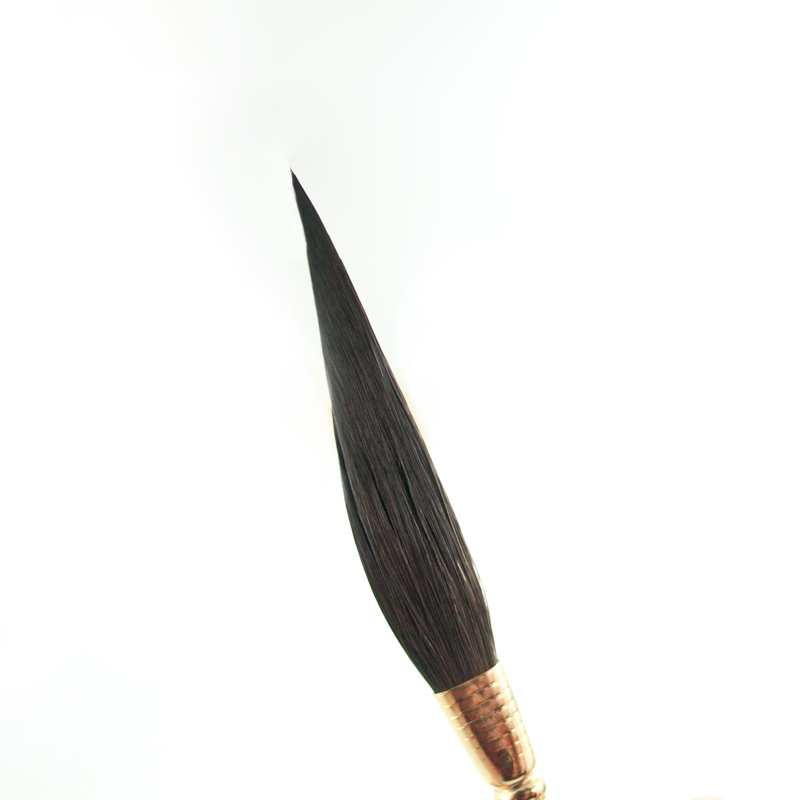 The striper is made of pure blue squirrel hair and has a length out of 2-1/4″. 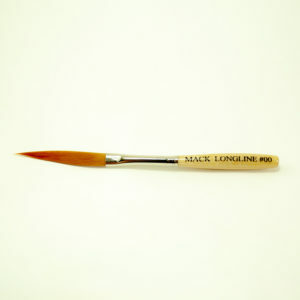 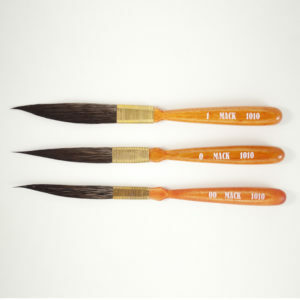 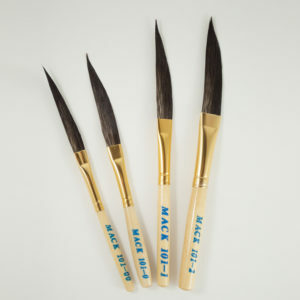 The long length of the hair allows the brush to carry a good load of paint for a long distance. 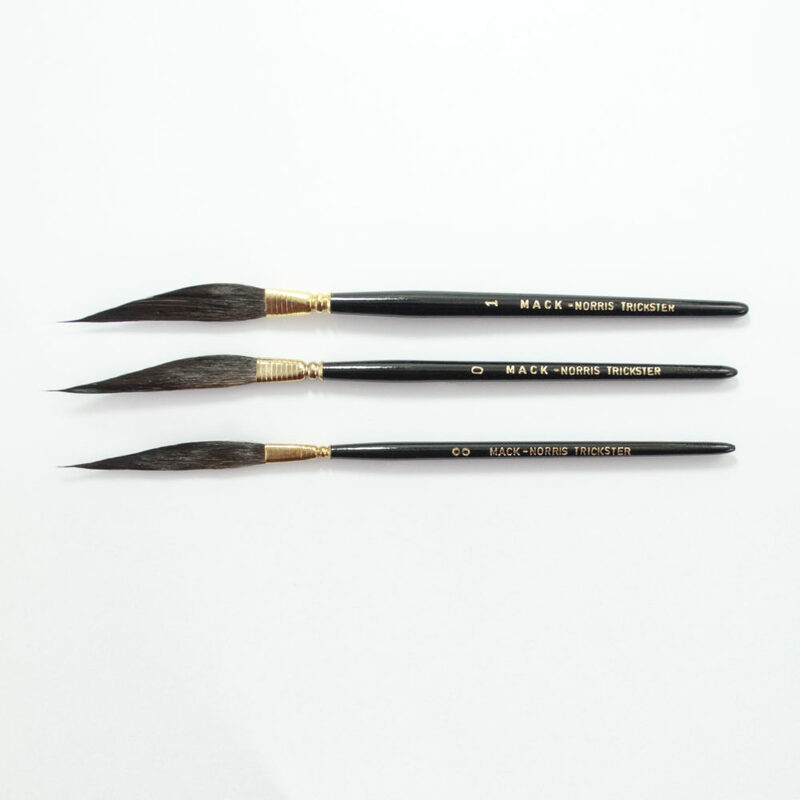 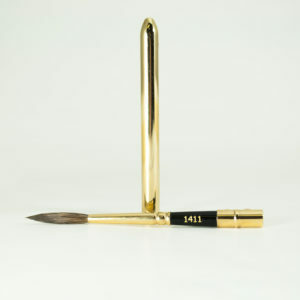 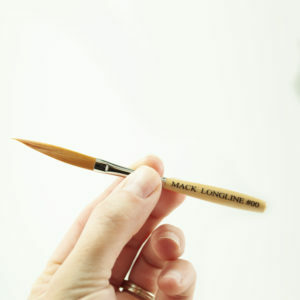 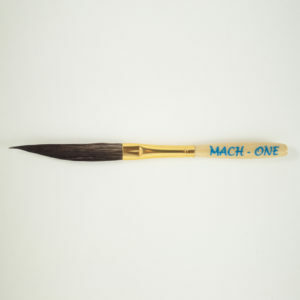 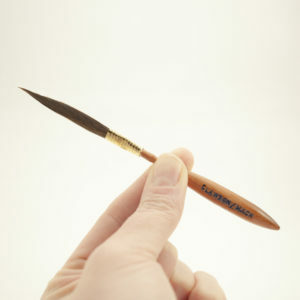 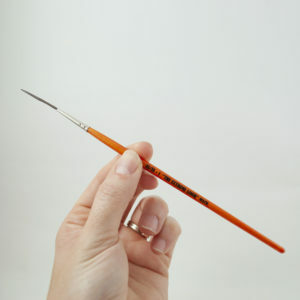 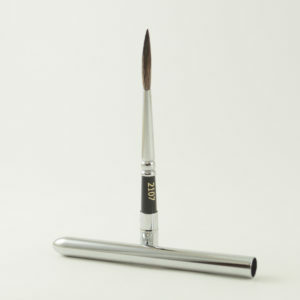 You can stand the brush up on the tip to create super fine lines even with the larger sizes.